Nuts are a staple of any healthy person's diet, mine included. I reach for them (soaked or sprouted, when possible) when I need a snack, to spice up otherwise-boring salads, to make my own nut milk for smoothies and hot chocolates. For something I ate daily, though, I realized how little I knew about nuts. They're all amorphously healthy, but in what ways? And which were the most healthy? 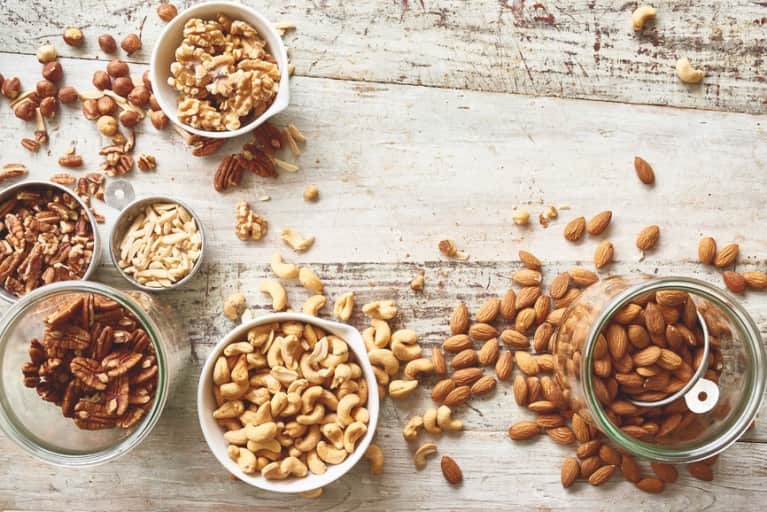 Hoping to get to the bottom of these pressing life questions, I reached out to a number of registered dietitians and asked them to share which nuts they thought were healthiest and why. Surprisingly, a fairly clear ranking emerged. Here's what I learned. Our registered dietitians universally picked pistachios as the healthiest—for a surprising reason. 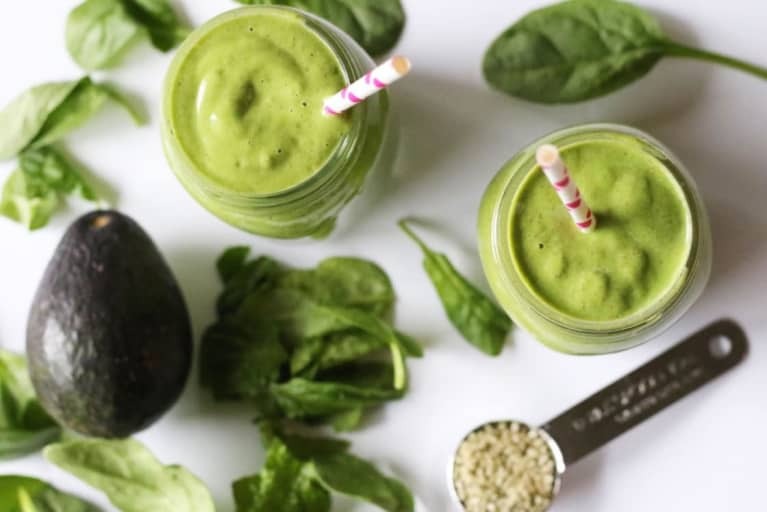 "Aside from being a great source of protein, fiber, and heart-healthy fats, they're also great for days you're feeling prone to stress eating. Shelling them gives your hands something to do, which can have a very soothing, calming effect on the mind—and the appetite," said Jessica Cording. Carolyn Brown, founder of Foodtrainers, seconded the sentiment. "I'd vote them the most mindful nut because they are an activity food, meaning they slow you down every time you have to shell one." 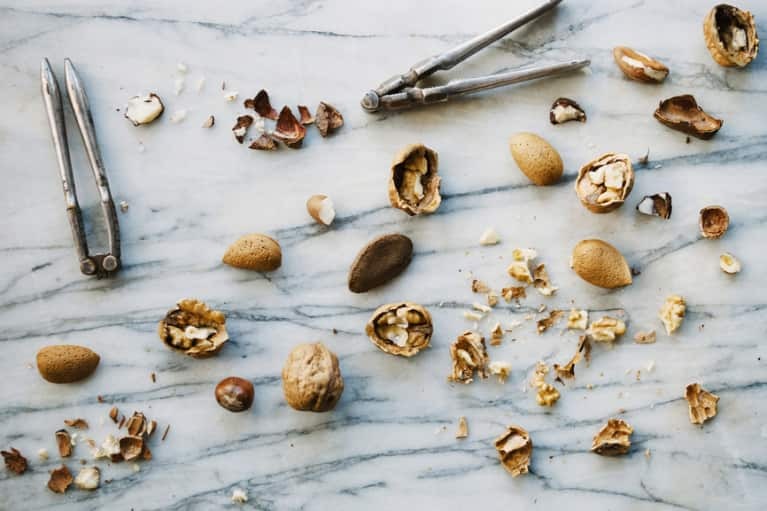 "You can also enjoy the greatest amount of nuts per serving (about 49 nuts) with pistachios than any other nut," noted Alanna Waldron. While you can make fun recipes with pistachios, most of our food experts preferred to eat them plain to capitalize on the aforementioned benefits. 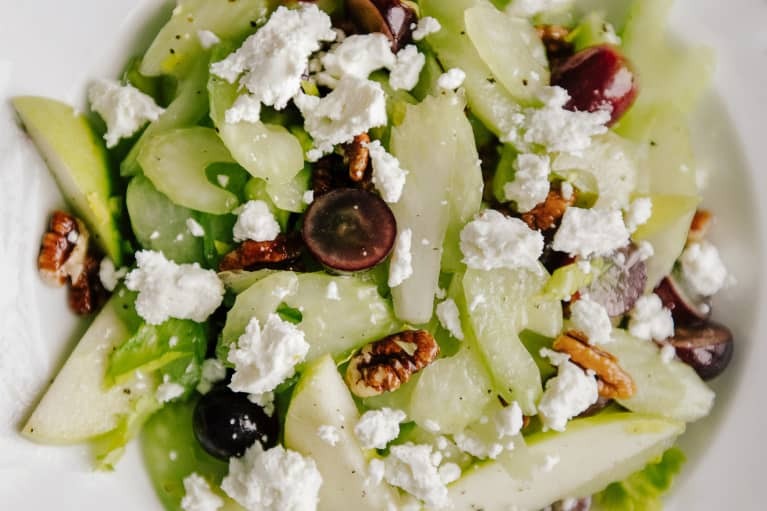 In folk medicine, walnuts were thought to be the best brain food because of their distinctively brain-like appearance—and the nutrition experts of yore may have been onto something. 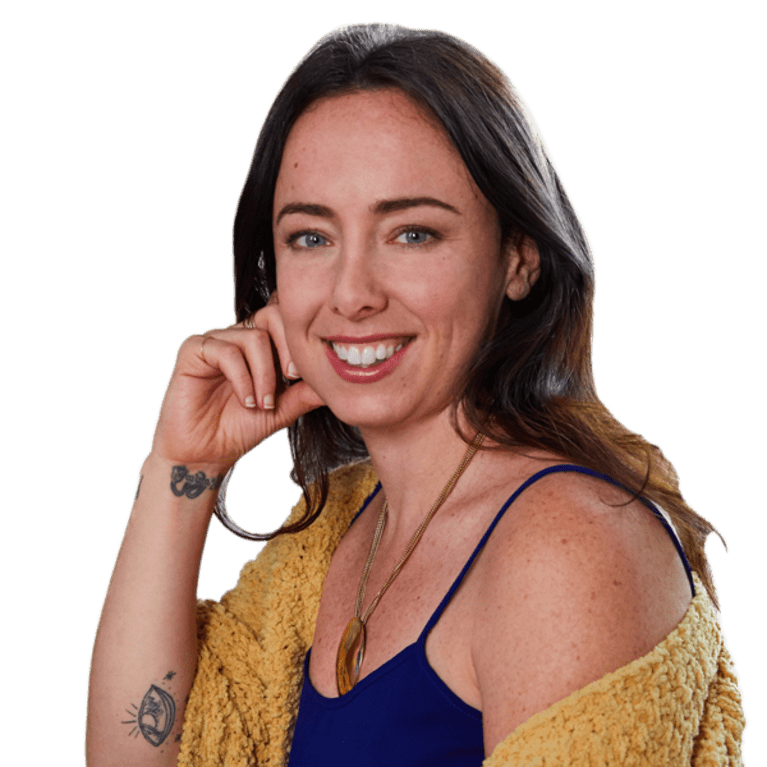 "They contain essential omega-3 fatty acids in the form of alpha-linolenic acid (ALA), which plays a role in brain function, has shown to help protect against heart disease and lower inflammation in the body," said Alanna. 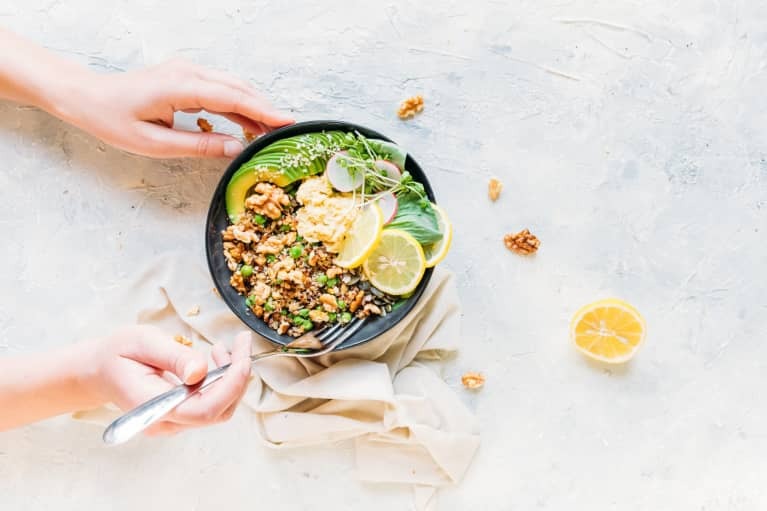 "Walnuts have a good amount of omega-3 fatty acids in them, which is so important to get into our diets, keeping the ratios with omega-6s in check (think oils, sunflower, and other 'healthy nuts,' etc. )," noted McKel Hill of Nutrition Stripped.Try adding them to your oatmeal or roasting them with a bit of sea salt and maple syrup. Kimberly Evans called them "the unsung hero of the nut bowl," while Jessica explained why. "Brazil nuts are packed with selenium, a mineral that's been touted for its antioxidant properties. 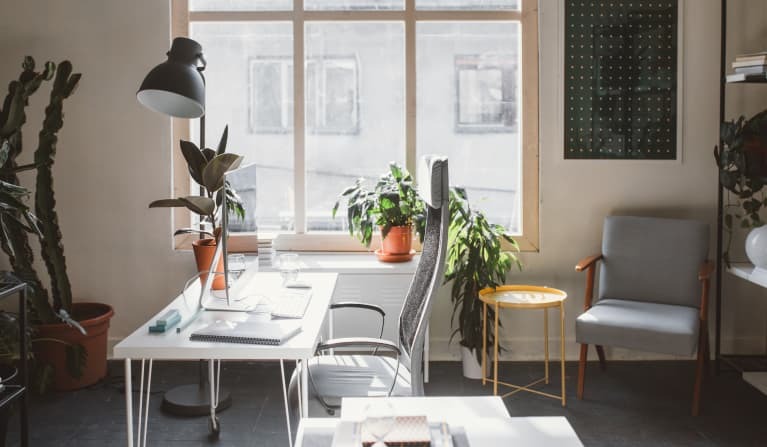 It's also important for reproductive health and thyroid function." Most of the R.D.s we consulted ate their Brazil nuts plain, consuming one or two a day like a supernatural supplement. Registered dietitians love cashews for how rich they are in copper and magnesium. "Copper plays a role for iron usage within the body. Magnesium helps regulate muscle and nerve function, along with blood sugar control in the body," said Alanna. They're also super versatile, and are able to be used as a cheese, cream sauce, milk, and more—all of which gives them extra health points, as they can offer people trying to kick dairy a delicious alternative. "Almonds contain vitamin E, which assists in achieving healthy, glowy skin, improves immune function, and protects the body from oxidative damage. Almonds also contain magnesium, calcium, and folate," said Miranda Hammer, founder of Crunchy Radish (and mbg class instructor!). They're also high in monounsaturated fat (the type found in olive oil), which reduces inflammation and lowers risk of heart disease. Try them raw or roasted, processed into a nut butter, pulsed into a flour, or rough chopped and tossed in a salad. "Pecans are chock-full of nutrients—containing about 19 different vitamins and minerals as well as antioxidants," said Britni Thomas. "The monounsaturated fats in pecans may help improve your cholesterol profile." They also contain three times the flavonoids (a type of antioxidants) of almonds, and 10 times that of walnuts! "These buttery nuts are a little more indulgent than most as they are higher in caloric content, but they also contain a lot of great nutritional benefits and they taste absolutely amazing! 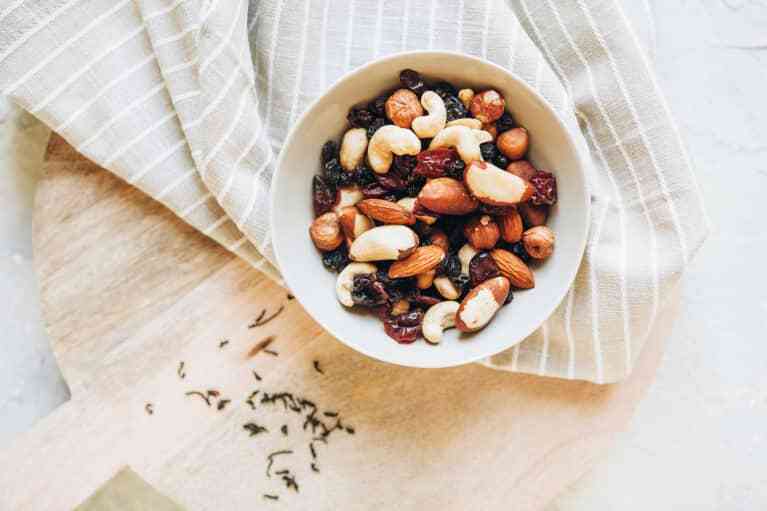 These delicious nuts are high in omega-9 essential fatty acids and they have been shown to improve cardiovascular health," said Christal Sczebal, of Nutrition in the Kitch. They're also rich in vitamin A, iron, protein, thiamin, riboflavin, niacin, and folates. While they are fatty, it's all a healthier type of fat that's filling and promotes weight loss. They're great in salads, cookies (although they likely won't promote a ton of weight-loss there!) and on their own.